The Warehouse has roman sandals in stock, so Matua Te Rangi would like all students in the correct footwear by next Wednesday 20 February, as this allows for those on the benefit. Kaikohe Christian School black jackets are in stock for Seniors, therefore students are not to be wearing any other uniform. Kaikohe Christian School is lifting its standard in uniform, academia, and sports and to the new parents, this transition began Term 3 last year. 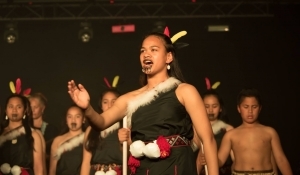 Finances: All monies raised for any event shall be collated by Whaea Gail and Whaea Martha and banked into the Kapa Haka account through the school. First Live In begins this Friday 6pm and finishes 4pm Saturday afternoon. Noho Dates / Cost: $5 per child. All monies to be given to Matua Te Rangi to buy the kai. If you can koha, kai or would like to come in to help, please see Matua Te Rangi. We, as a whanau, will be fundraising at School for Polyfest Tamakimakaurau. There will be fundraisers of Icecream and lunches. Children will be given notices/order forms. Please return with the completed order form and correct payment to the Office. We would appreciate if you could please have the correct amount of money with the order form, in an envelope, as there is no facility for giving change, at the Office. The Office is merely a collection point. Advertising Whanau Performance: Online, Shops, Churches. Whaea Michelle will put together a flyer for the whanau performance, to distribute everywhere. 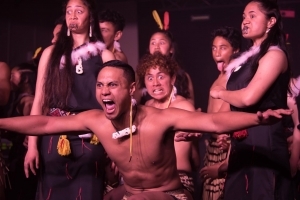 Kapa Haka performance – Junior and senior Meeting Monday 18th March: to organise the evening. We discussed our whanau doing all the cooking, cleaning, preparing of kai. 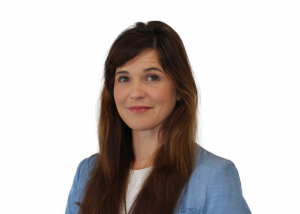 Whaea Michelle and Komene will tutor and concentrate on getting the Tauira Participants, ready for regionals and TT fest. Whanau must step up to get these tamariki to another level. The Kamar Parent & Student Portal is available to all parents for students in Year 9 – Year 13. 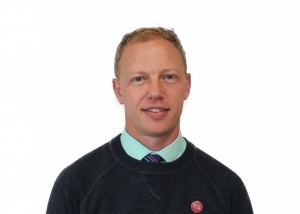 The following information is currently available: notices, calendar, student timetables, live attendance, pastoral notes, recognition’s (C.A.R.E points), student reports, students results, and student pathways. Please note: Student information is not publicly available and has only been shared with students and parents/caregivers, who each have their own unique password. Please, keep your password confidential. If you have lost your username and password please contact the school office and request a copy. Room 6 planted capsicum and tomatoes seeds at the end of last year. We are happy to say they have been cared for over the holidays and are now successfully planted into our school garden! Eating the produce of our garden this term is something we all are looking forward to. We have seed raising trays and a greenhouse too, so if anyone wants to contribute seeds or seedlings to our school garden you are most welcome. Write a Book Review: Due Friday 15th February. Was your story fiction or non-fiction? What was the scene setting for the story? If you could be anyone of the characters, who would you be and why? Describe the best part of the story. N.B. In the Intermediate years, you need to be able to write with a detailed description using examples to support your opinion. I am keen to see how you write on your own without structured support. Good Luck. The Sports Academy has begun for those intending to partake in team, individual sport or even desire just to lose weight. Times are 7 am – 8 am followed by shower and breakfast. When: Sunday 7th April 2019. Entries are open for the Weet-Bix Kids TRYathlon – Bay of Islands on Sunday, 7 April 2019 at Waitangi – Adjacent to the Treaty Grounds. The TRYathlon is all about giving it a TRY and is a rewarding and fun day out for you and your child. Participants need to be aged 7-15 years old on event day, and can complete the TRYathlon as an individual or in a team of two. Our school has created a School Group which you can join when you enter from home. Search for Kaikohe Christian School when prompted. By linking to our school group it will give us the chance to win some great prizes. If you are unable to register at home then I can help at school but please let me know early if this is the case. If someone you know requires financial assistance to enter the TRYathlon, through either subsidised entry fees or funding for necessary equipment, then you can apply to the Weet-Bix TRYathlon Foundation for assistance. Visit www.tryathlon.co.nz/foundation for details. All competitors must have their own bike and helmet in order to take part. It is important that the bike is in good working order with both brakes attached and working. There is a very good bike shop in Kerikeri if parts and/or repairs are required. Please don’t leave this check to the last minute. On race day, the school gazebo shall be set up to store belongings etc. and I shall be present to help where needed. I request that you come to the school gazebo upon your arrival to let me know that you have arrived and are taking part. Please leave plenty of time for your arrival as the roads become very busy and the Waitangi bridge will be shut at 8:15am. If you have any school related questions please contact myself at davidp@kcs.school.nz otherwise contact the Weet-Bix Kids TRYathlon team; email tryathlon@sanitarium.co.nz or phone 0800 WEET BIX (0800 9338 249). Coaches, transport and teams lists, as soon as possible. Calling all past, present and future players to come down to meet the Club Members and get registered for the 2019 season. Consent forms for the 13-15 year olds are being sent home for consent and must be returned before Monday 25th February. 16 year olds are able to sign their own consents. It may well be that a number of these students have already had these vaccinations.